Higgens is a 16’3 hand 14-year-old Oldenburg by Harvard. He is a very reliable FEI horse ready for Prix St Georges/I-I and I-II schooling towards Grand Prix. He is very nice to sit easy and light in the contact with a 10 for the walk. Higgens has super changes, pirouettes and can easily zig-zag for all the FEI level including Grand Prix. His trot work is smooth and he easily goes sideways. 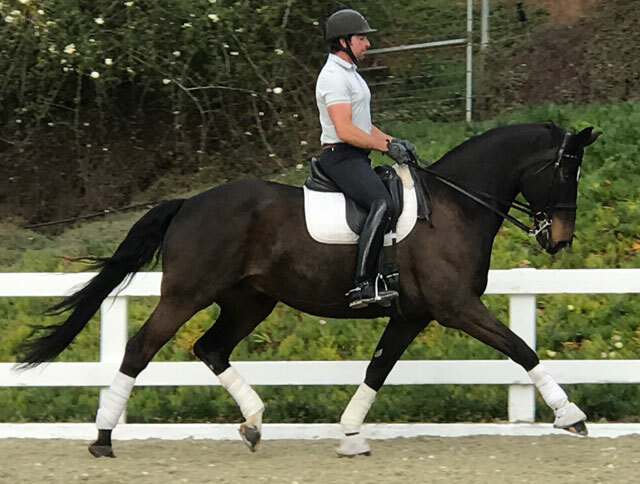 Higgins is a perfect horse for any Adult Amateur or Young Rider.